“There’s something down there,” sang lead singer Joey, with a delivery that illustrated his reluctance and dread. Now almost 40 years later, Greenfield band The Ambiguities, founded by local artist and musician Daniel Hales, is asking listeners to bottle up their fears and follow as the group opens up some cellar doors and plunges headlong into a subterranean quest on its newest album Basement Suite. The journey begins with “Hungover Dragon.” Mixing lyrics about psychic wizards and the aforementioned dragon (which is trapped inside the body of a drunk) with a slowly unfolding rhythm, the track is a fitting entry point. But Basement Suite isn’t all about fantasy and things that go bump in the night. “Ambiguity Stew” is a short, funky blast that samples the intro from “It’s Live Over Here” by Luther Rabb complete with the crackling playback of an old vinyl record. The song is only 50 seconds long, but still manages to fit in a bevy of lines including a rhyme that pairs mention of ‘80s rapper Tone Loc with the phrase hard-boiled yolk. Singer/ master of ceremonies Hales culled inspiration from his day-job as a teacher for some of the lyrics for another short tune, “X Formation.” Riding along with finger-snaps and distant drum sounds, the song will remind listeners of the type of schoolyard chants or taunts that pop up during Double Dutch games complete with diss-filled language and bratty attitude. There is no sign of childhood shenanigans, however, on Basement Suite’s moody title track. Unfolding through three parts over nearly seven minutes, the composition conjures some of the dread that Joey Ramone sang about in the ‘70s. Though these lines and the remaining lyrics to “Basement Suite” repeat themselves, the delivery evolves. Hales’ vocals transform from a lonely croon to a distorted cat-call filled with menace. A mixture of sounds bubble up – solitary guitar, whining noise, and distant singing. Liner notes for the album even list piano, violin, and a drum-like instrument called a tambo as being used over the course of the composition. The message of such a song, some would argue, is pretty clear – know when to leave, know when to stop, or just know when to get when the getting is good. It’s a message both The Ambiguities and Basement Suite understand. Neither the band nor the record overstays its welcome. In fact, no matter what Joey Ramone sang about in ’76, there just might be a few listeners who will want to return to the basement Hales and company have created again and again. There’s something down there all right, but it’s not something to be feared. It’s something future searchers will want to explore. 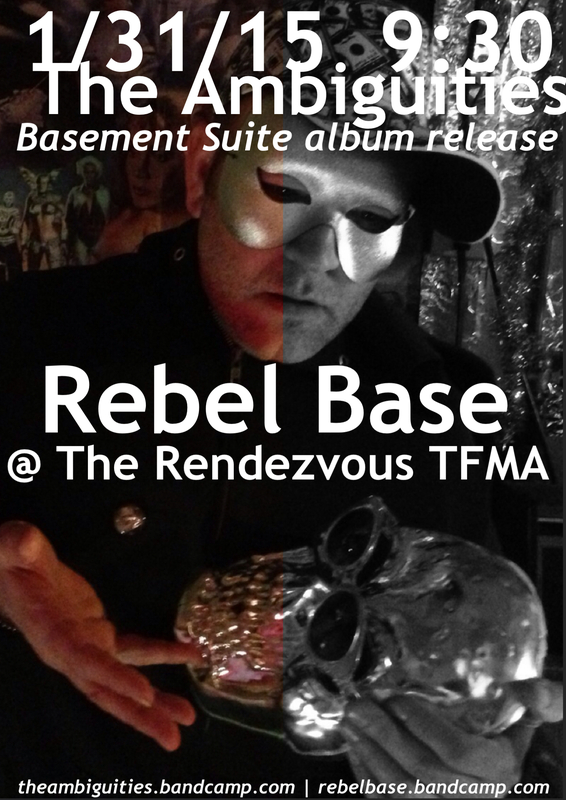 The Ambiguities “Basement Suite” release party with Rebel Base, January 31, 9:30 p.m., $3/ includes free CD, The Rendezvous, 78 3rd Street, Turners Falls, (413) 863-2866, www.rendezvoustfma.com. For more information on The Ambiguities and Rebel Base please visit www.theambiguities.bandcamp.com and www.facebook.com/pages/Rebel-Base. Four years – the space between Olympic Games, the duration of the average college career, or the amount of time some bands take to record and release a new album. If you, dear reader, told me four years ago that I would still be writing this blog in 2015, I would’ve labeled you a nutter. No way could I come up with four year’s worth of material. I’m not that inspired, and maybe that’s true, we could argue that point over a drink sometime. 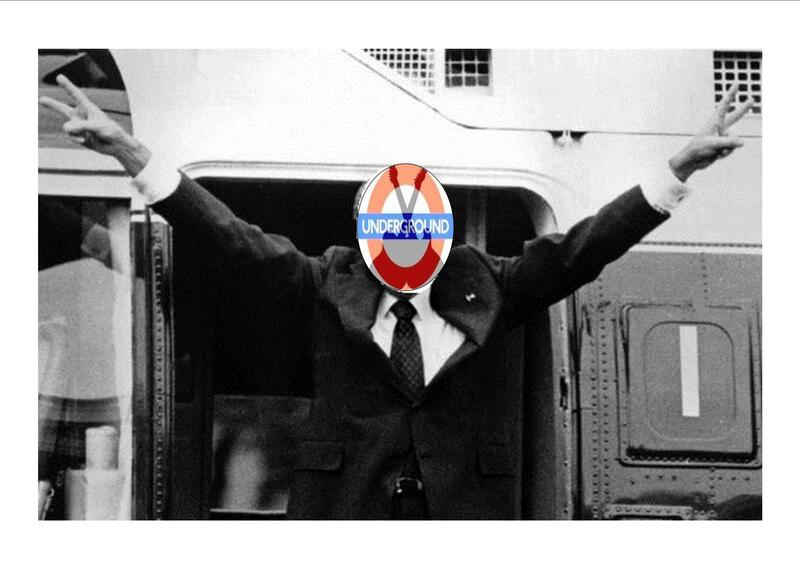 But Northeast Underground is alive and kicking in the New Year, and looking back there have been moments of great joy. There have been moments of disappointment too, indeed not every freelancer can fit every topic they want to write about into their schedule, and not every freelancer is able to land every interview they try for or cover every story that grabs their attention. Focus over a four year span can become diluted. Just ask your typical college student. Yet, sheer perseverance, perhaps, deserves respect. For every stubborn reader who read along and shared words of encouragement on a blog post or two (or a dozen, but who’s counting? ), and for every interview subject who stuck with this writer’s process in order to one day see their name in a story online (like, on the World Wide Web, man, gnarly and far out), there are not enough thank yous. Obligatory acknowledgement too of the continued support offered by the Valley Advocate for hosting Northeast Underground on the paper’s website. What started as a fun side project was given a significant boost in profile by joining forces with such a venerable alt-weekly. The carte blanche approach employed by the paper’s staff has allowed a freedom to this blog that I hope translates when seemingly random subjects or asides are tackled and/ or included in certain posts. In this remaining space, I posit a thought or two (or three) for the future. First, change is inevitable. You’re reading this post now on a completely redesigned website, which is worlds apart from the one this blog started contributing to four years ago. Go with the flow. Second, each new day begets another day on its heels. You, dear reader, like the material shared here, are different somehow every day. Accept the difference. And lastly, I don’t know. Meditate, workout more, or start a new hobby for Chrissake. This blog won’t help you lose those extra 10 pounds you put on over the last year, but reading what’s written here sure beats going on a diet.